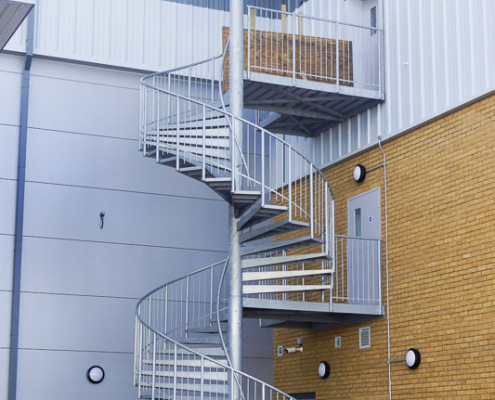 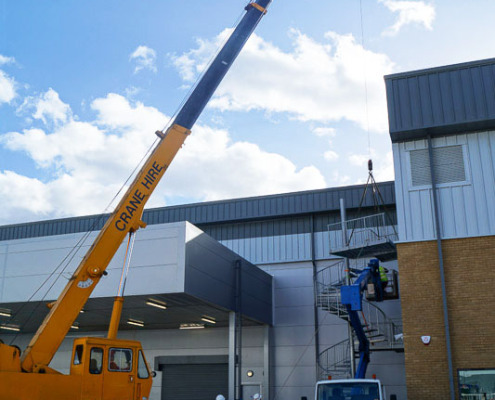 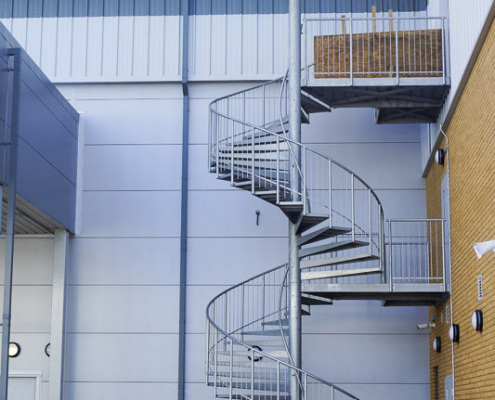 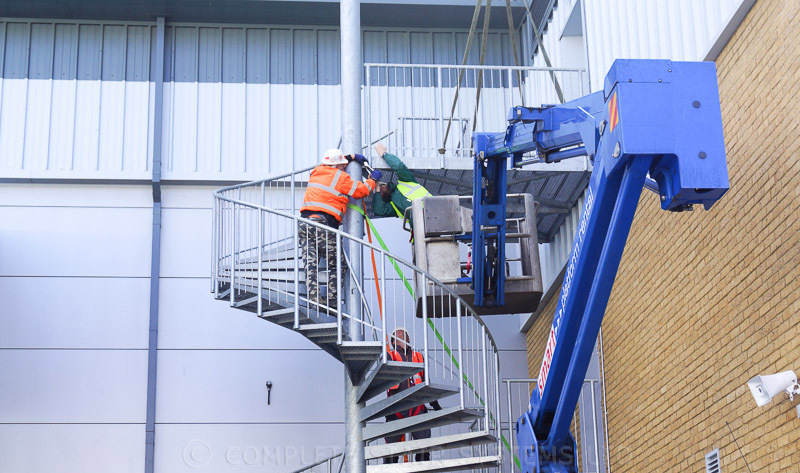 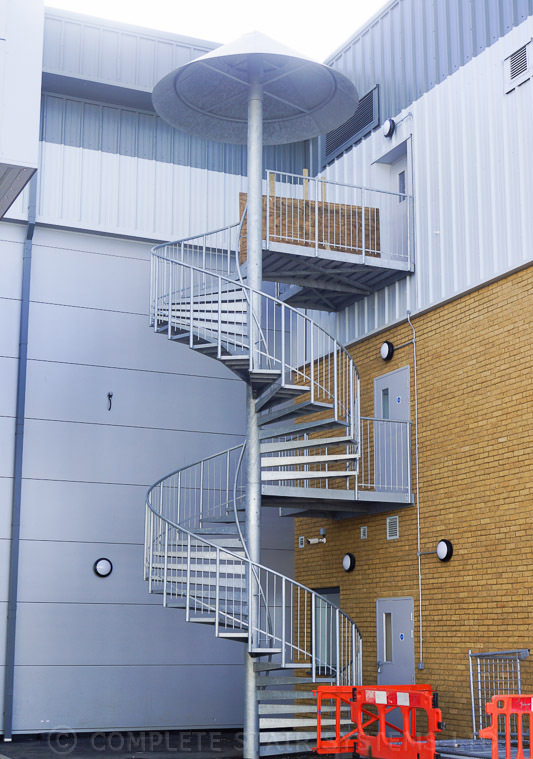 This was a very large external spiral fire escape supplied to a construction company building a new office block in Enfield. 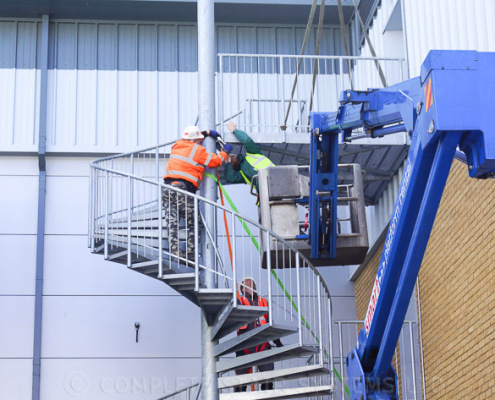 Due to the number of people it was providing as escape route for, the clear tread width had to be 1m and a centre column handrail was included. 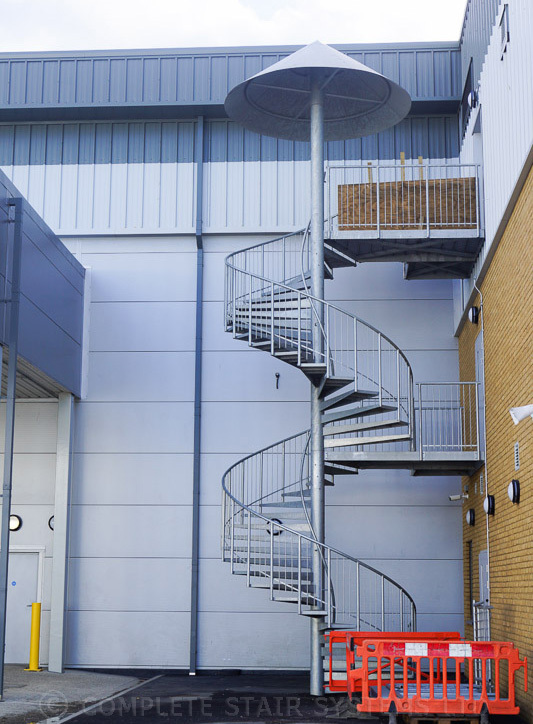 The spiral itself was accessing two levels and we included a wheelchair refuge at each level, providing a 1200mm square clear area which does not form part of the thoroughfare. 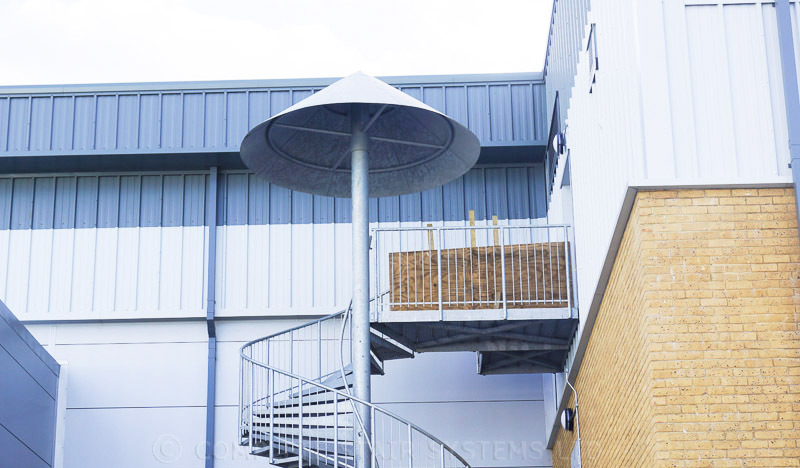 The spiral stair centre column was topped with a large canopy to give some shelter to the users. 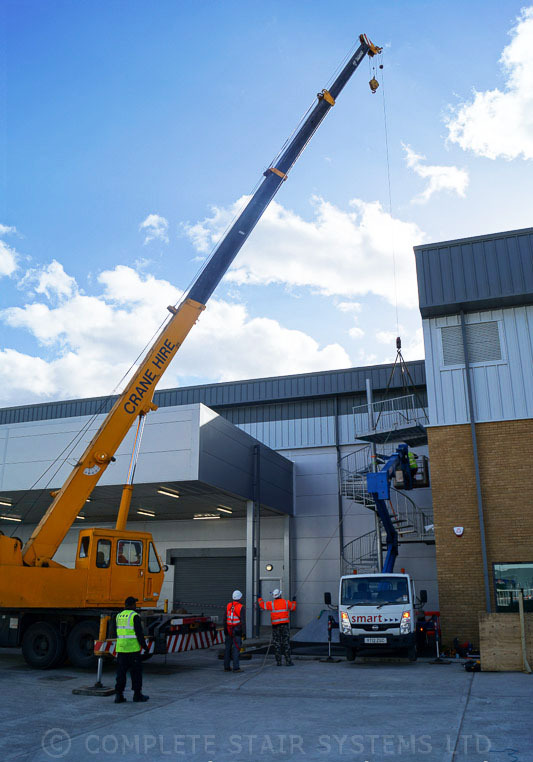 This was supplied in one piece and was extremely heavy so had to be craned into position. 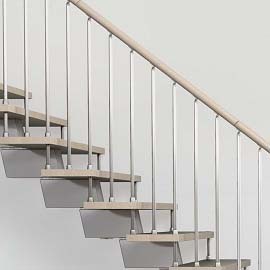 The spiral staircase itself had non slip perforated steel treads, vertical steel spindles and a 42mm diameter steel handrail. 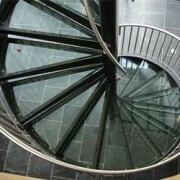 The entire spiral stair was galvanised to prevent corrosion. 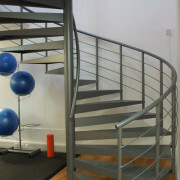 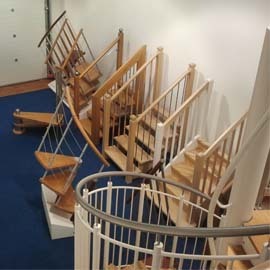 This is a bespoke product and we supply these external spirals stairs to domestic clients as well as trade customers. 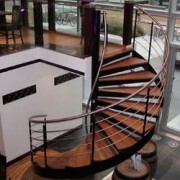 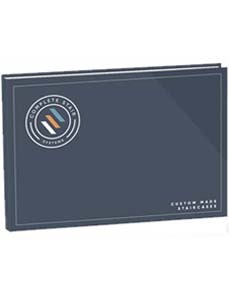 Being bespoke, they are very versatile and can be made in any diameter and height. 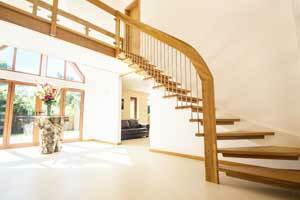 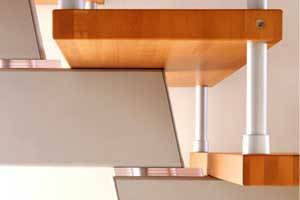 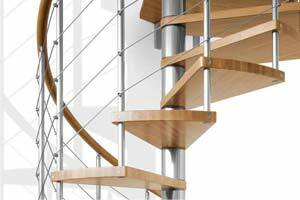 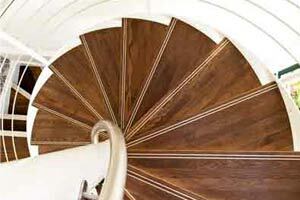 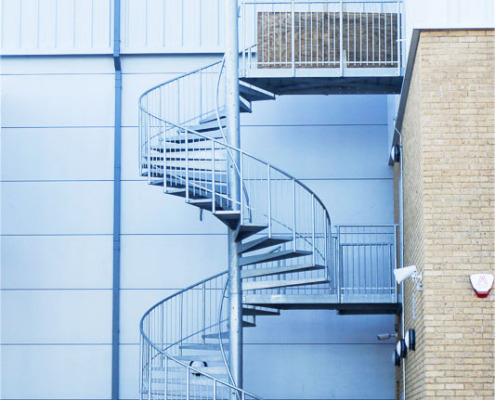 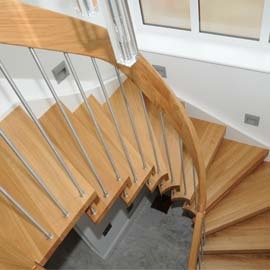 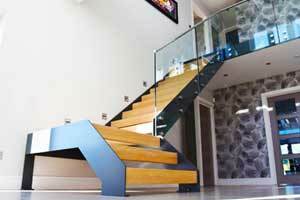 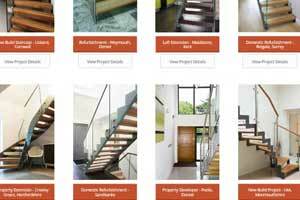 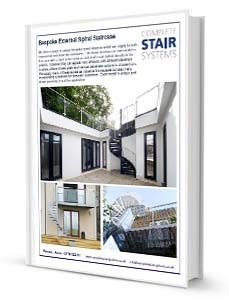 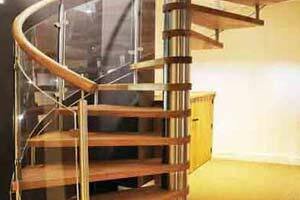 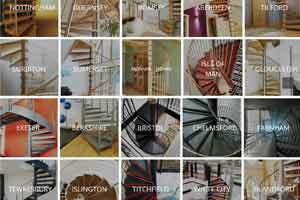 For a price for your ‘Spiral Staircase Enfield’, please fill out the form below. 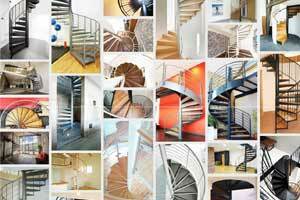 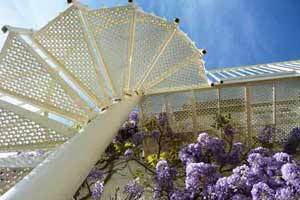 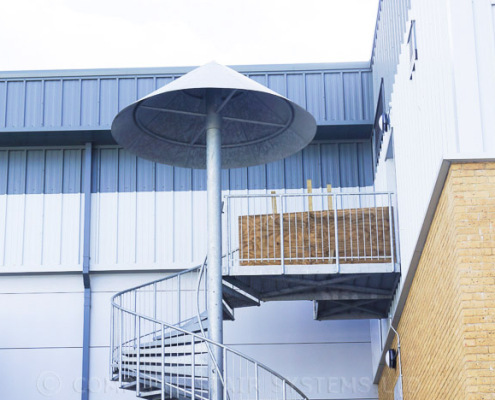 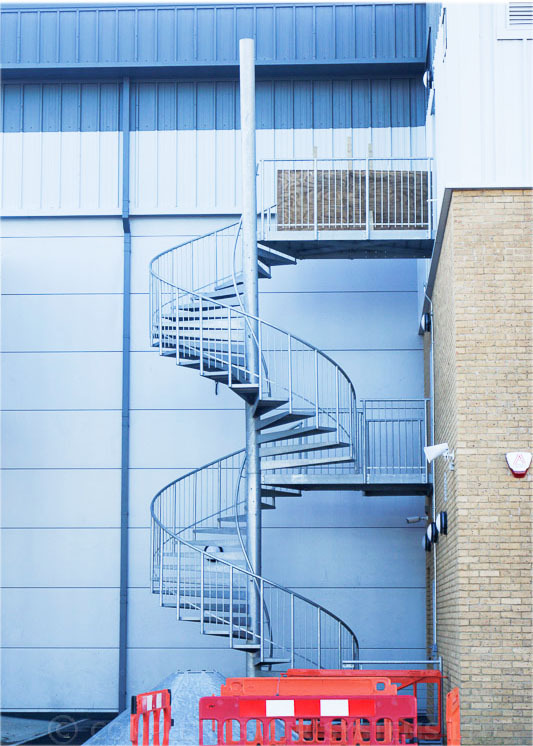 "This extremely large spiral staircase took much planning before it even went into production. 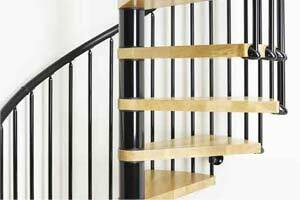 As with any double flight spiral it is important to watch the headroom whilst ensuring the treads have sufficient depths to meet regulations"